Many startups believe they’re creating the next great thing. In reality, over 90 percent of them fail. To achieve success, entrepreneurs should be aware of common challenges so they don’t make the same mistakes that others have already made. In this article, we review common reasons why startups fail and how to avoid failure and work on things that actually create value. Here’s a dose of reality. The most common reason for startup failure is an entrepreneur’s assuming a brilliant idea is enough. Some entrepreneurs sincerely believe they’ll come up with a great idea and customers will immediately beg for it and fork over their money. But actually, they don’t. Vitoto had a relevant idea to allow people to create and share videos collaboratively. But bad business decisions led to this startup’s failure. Don’t be too optimistic about acquiring your first customers; thoroughly think out the business model instead. A business model should account for all costs, the required technology stack and team, the marketing strategy, and different methods of monetization. The essence of a business model is to allow entrepreneurs to better understand how they’ll run their business and operations and how to attract and win customers. The lesson we can learn: It doesn’t matter how good the idea is; if it can’t be profitable or scalable in the future, the startup eventually will fail. What do you need to start a business? Three simple things: know your product better than anyone, know your customer, and have a burning desire to succeed. Unfortunately, most entrepreneurs miss one important aspect in the early stages of product development: They don’t clearly understand their product’s aim, who they’re building the product for, what problems it should solve, and what it might be able to achieve in the market. Poor market research leads to misunderstanding of the target audience and, as a result, a product that no one wants. 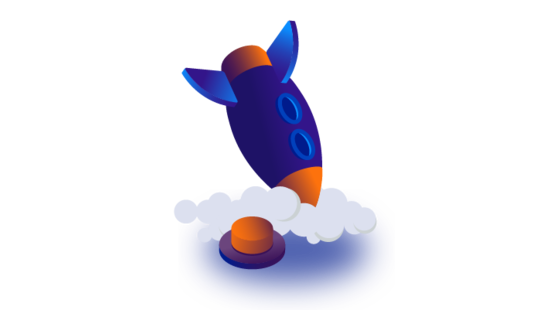 Wrong time to release the product – A startup can be ahead of its market by a few years and customers may just not be ready for a particular solution at the moment. To avoid challenges with market fit, startups should validate their products using pilot projects before launching. Or alternatively, they can conduct beta testing to significantly reduce the risk of failure and market rejection. 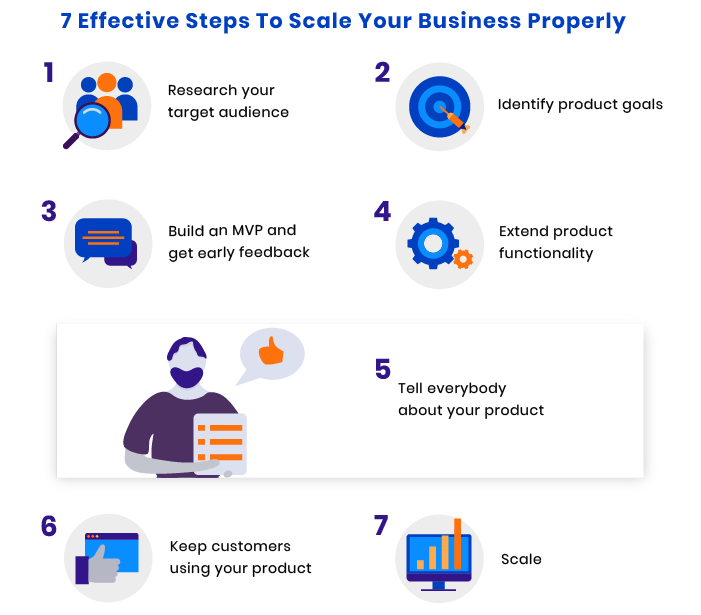 One more solution is to build a minimum viable product (MVP) that allows entrepreneurs first to build the core features of a product, test it, and then develop the next version according to user feedback. The lesson we can learn: To make a startup prosper, provide a new solution that will be valuable for people. Premature scaling is putting the cart before the proverbial horse. The more a company grows, the further away from profitability it becomes. The goal of many startups is to not be a startup anymore. They’re all in a hurry to scale. Scaling refers to hiring people, getting funded, releasing new products, entering new markets – and growing too much too soon. Unfortunately, not everything is as smooth as it may seem. In reality, up to 70 percent of startups scale too early and, as a result, do things out of order. The lesson we can learn: Don’t get ahead of yourself. Don’t try to grab a new market when the business isn’t ready. An incredibly common problem that causes startups to fail is challenges with the development team. 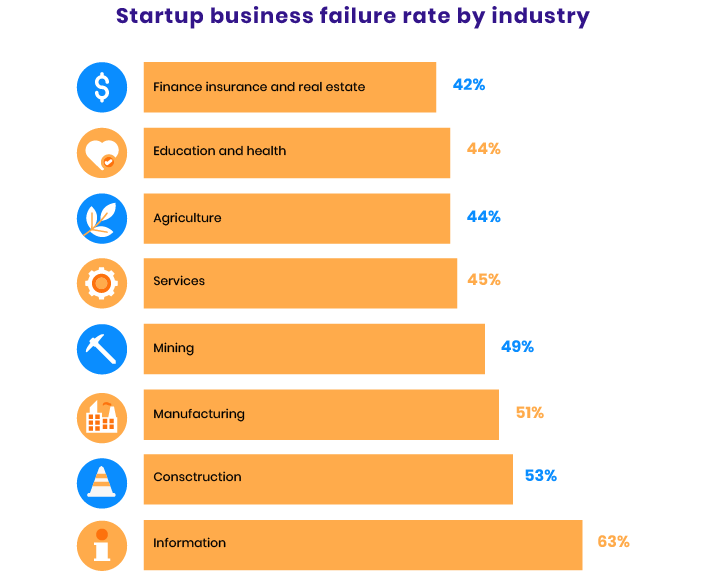 Statista shows that 23 percent of startups fail due to the wrong team. Let’s take a look at the most common challenges startup founders may face with a development team. 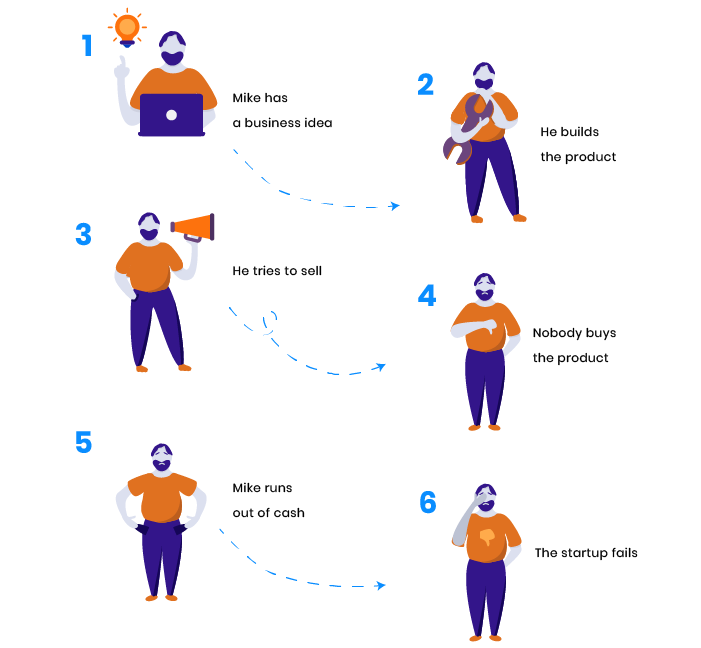 Usually, startup founders are unwilling to invest much money on product development in the initial phase. Accordingly, they look for cheap solutions and don’t hire enough technical experts. As a result, developers lacking proper qualifications build a low-quality product that no one will use. One thing startups definitely can’t afford is poor management. 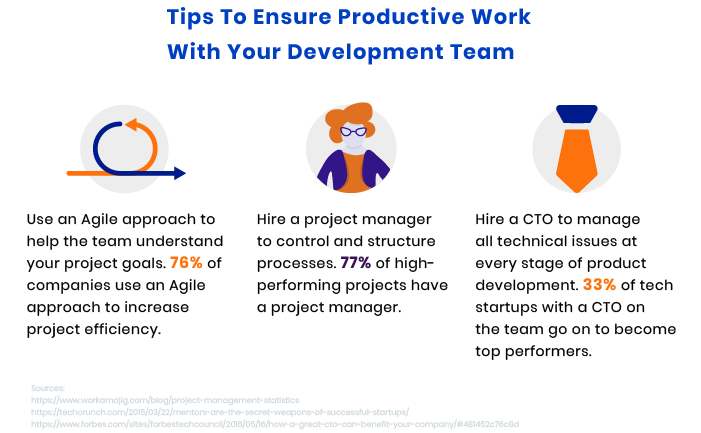 Poor management can mean a development team doesn’t know exactly what the company needs and isn’t 100 percent involved in the process. Delays are frequent. Due to lack of clarity, product quality deteriorates and the product development takes longer than required. Needless to say, all founders are eager to hire the best specialists. Hiring locally is easy and convenient, but unfortunately, the local talent pool is usually limited. Startup founders should be ready for the fact that not all specialists want to relocate for a job. The Holmes Report shows that due to poor communication, companies lose $37 billion annually. Poor communication isn’t just about language issues; it’s about the development team not setting up a clear communication flow, ignoring meetings, and not having so-called “constant fusion.” Founders just can’t work closely with the team during the whole development process and are in the dark. This leads to the development team lacking a vision for the product and simply not getting the idea. Below, you can see some steps to prevent issues with your development team. It’s crucial for any business to have a clear monetization strategy; otherwise, the company has every chance to die. That’s what happened to Everpix. 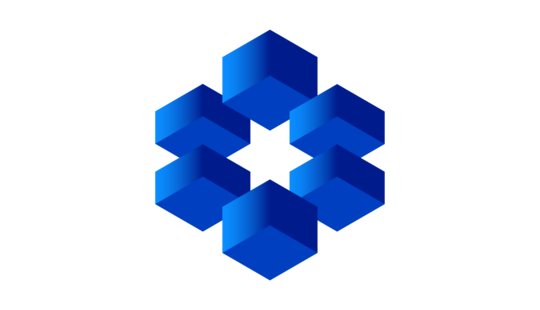 Everpix allowed users to store their smartphone pictures on a secure server. Unfortunately, the founders never applied any monetization strategies. When it was time to pay Amazon Web Services for the servers, the budget was blown, and the company had to shut down. In order not to repeat the Everpix mistake, startups should clearly understand how they’ll recoup their investments and make money with the product. Let’s take a look at the biggest driver of software revenue. The lesson we can learn: A brilliant product idea isn’t enough. For a business to flourish, it’s vital to keep your eyes on monetization strategies. 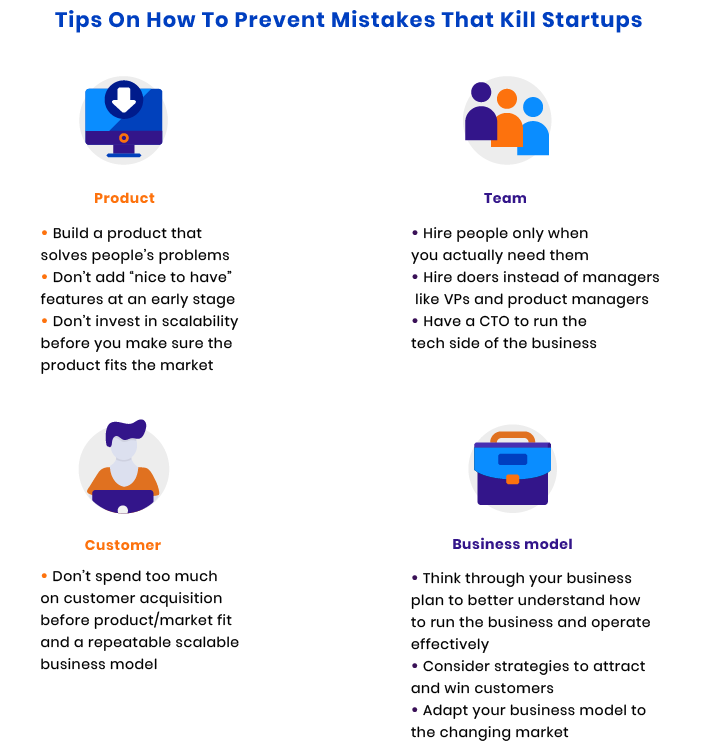 Now that we’ve reviewed common reasons why startups fail, let’s summarize how to avoid these mistakes or overcome them. 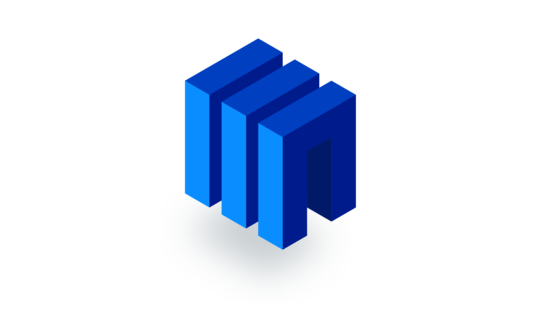 If you want more useful insights, subscribe to our blog! What Is the Role of a CTO at a Tech Startup?